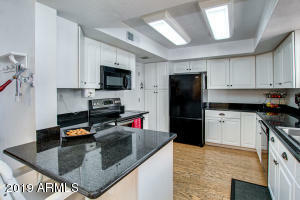 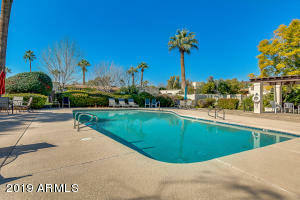 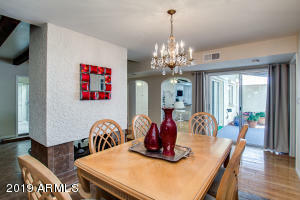 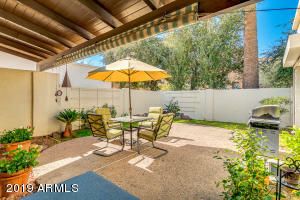 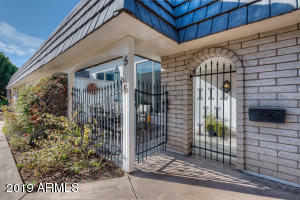 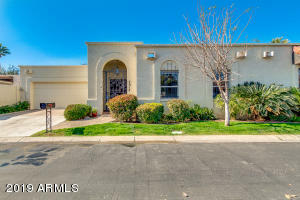 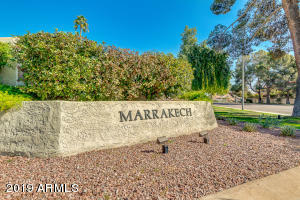 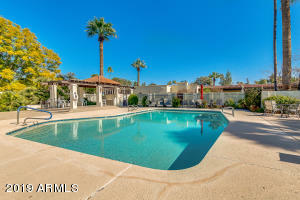 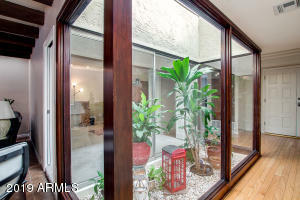 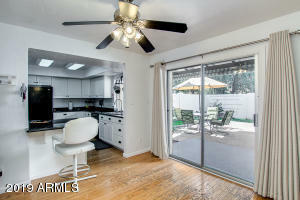 Wonderful north central corridor single level townhome in beautiful Marrakech community. 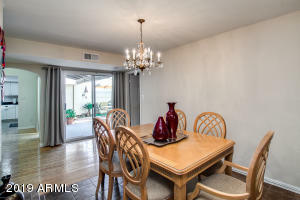 The welcoming floorplan is light and bright. 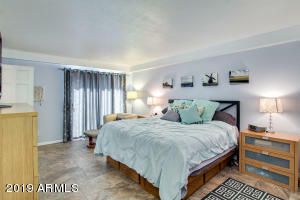 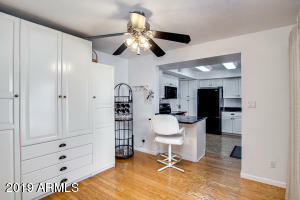 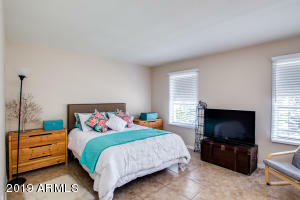 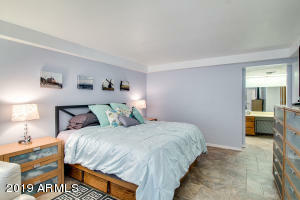 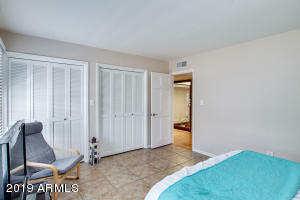 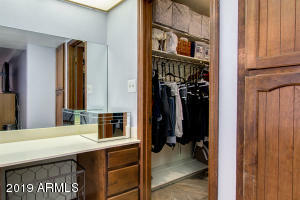 Large master suite with w/ walk-in closet, private exit to beautiful backyard. 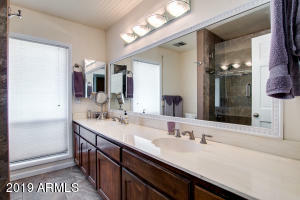 Master bath with dual sinks, large vanity and additional make-up space. 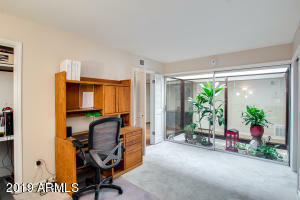 Generous secondary bedroom with dual closets, third bedroom is currently office flanks the atrium. 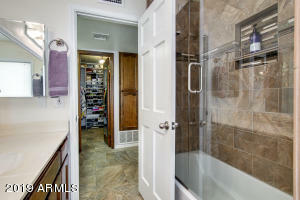 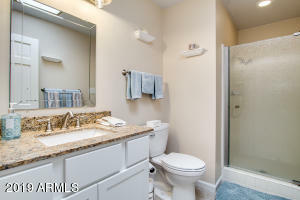 Remodeled second bathroom with shower. 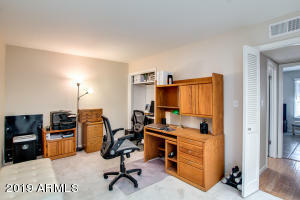 Solid wood floors and tile, fresh carpet in office. 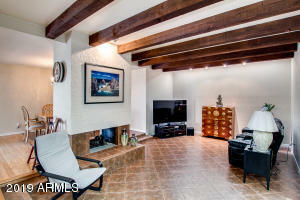 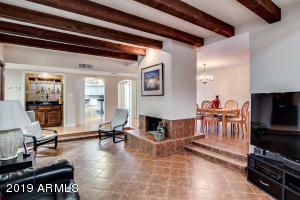 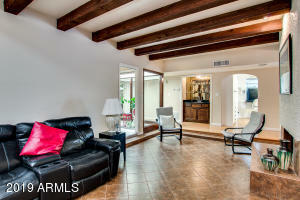 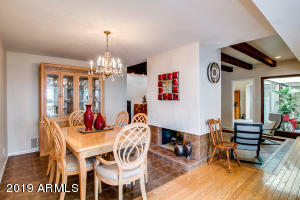 Warm wood beams in living room has dual gas fireplace that is shared with ample dining room. 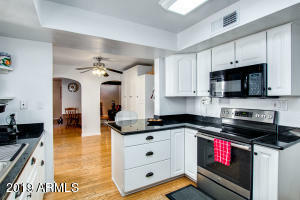 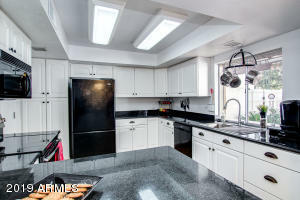 White kitchen cabinetry and granite counter tops with peninsula, smooth top range and large pantry as well as area for table. 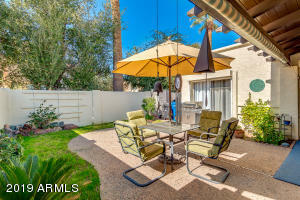 Dine alfresco on patio in private back yard. 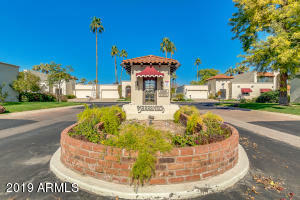 Mature trees and green space throughout quaint neighborhood. 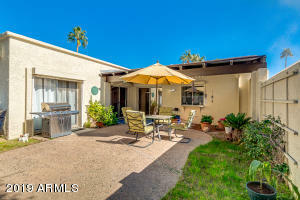 From 7th Avenue .... West on Glendale to 10th Drive on North side of Glendale, enter at Marrakech Gatehouse, West at Cactus Wren, North at 11th Avenue, house on West side of street.